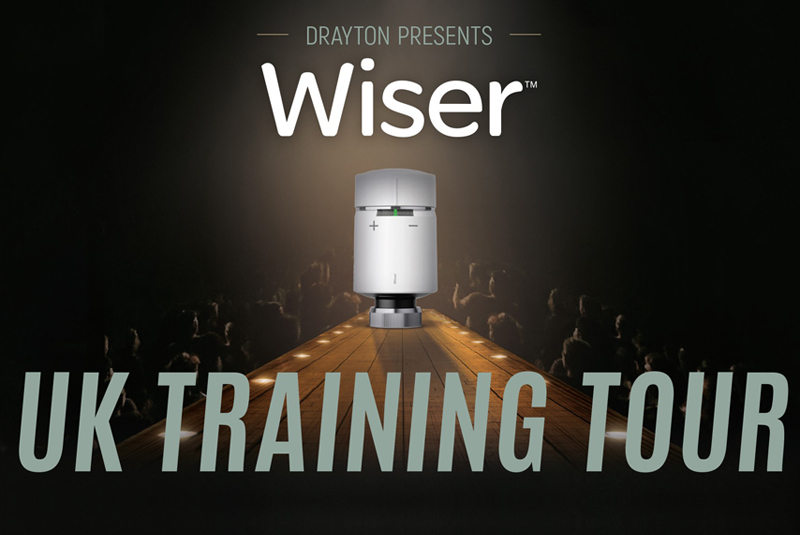 Following the successful training roadshow last year, Drayton has announced new dates for its 2019 Wiser training tour. The roadshow, which currently spans the first six months of the year, will be stopping at different locations throughout the UK each month, from Plymouth to North Shields, giving installers across the country the chance to familiarise themselves with the Wiser heating system and its smart features. At the tailor made training sessions, installers will get the exclusive opportunity to learn more about the Wiser heating system from Drayton experts, including installation best practice, how to build the system, troubleshooting, and the benefits Wiser can offer their customers. The practical sessions are designed to allow installers to ask questions, share their opinions and get hands-on with the Wiser system. Upon completion, installers are awarded the Wiser Approved Installer status, allowing them to benefit from having their company details listed on the find an installer function on the consumer website, and will also walk away with over £200 worth of products. Drayton, which is celebrating its 70th anniversary, launched the Wiser system in 2017, adding a smart, multi-zoning solution to its extensive range of products. A buildable system, Wiser can create up to 16 different heating zones, using up to 32 devices, which can be individually scheduled for maximum control. The system also benefits from smart modes, geofencing technology, voice control, and includes innovative features such as the new Heat Report. Clare Stevens, Marketing Manager at Drayton, said: “As the concept of the connected home continues to rise in popularity among consumers, we are aware that installers are now more frequently fitting smart heating controls as part of an installation. Our training roadshow was created to ensure that we provide as much support as possible to installers as they venture into this new market, as well as educating them about the benefits of the Wiser smart heating system.